FCEU's hue is too colorful, Nestopia's hue is too dark, VirtuaNES's hue is fine. For the sake of beauty, this website is preferred the picture in VirtuaNES Hue. If other simulators need to change to VirtuaNES Hue, you can download the palette file: vnes.pal.rar, then decompress it into the root directory of the simulator and set the simulator as below. Options - Video. "Palette" in the lower left corner. check 【Custom】, click 【Browse】, select 【vnes.pal】. Config - Palette, check 【Use Custom Palette】, click 【Load Palette】, select 【vnes.pal】. By default, the screenshot size of PAL is 256*240, screenshot size of NTSC is 256*224 (8 pixels was cliped on top and bottom). To avoid typesetting disorder, this website is preferred 256*240 size screenshot. 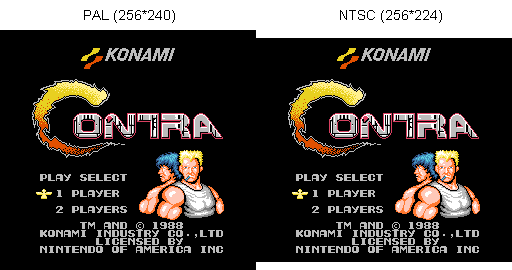 Set as below, change screenshot size of NTSC to 256*240. Option - Graphics. In "General", check 【Show 240 lines】. Options - Video. In "NTSC Screen", 【Top】 enter 0, 【Bottom】 enter 239. Config - Video. "Drawing Area" on the right. NTSC's 【First line】 enter 0, 【Last line】 enter 239. By default, there are 8 pixel black borer on the left in some games. 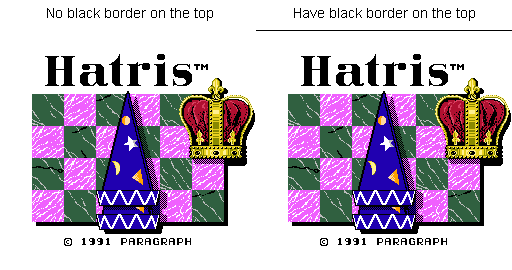 For the sake of beauty, this website is preferred the picture which No black borer on the left. Set as below, this situation can be avoided as far as possible. Option - Graphics. In "General", don't check 【Screen left clip】. Config - Video, lower right corner, don't check 【Clip left and right sides】. Effective for a few games. 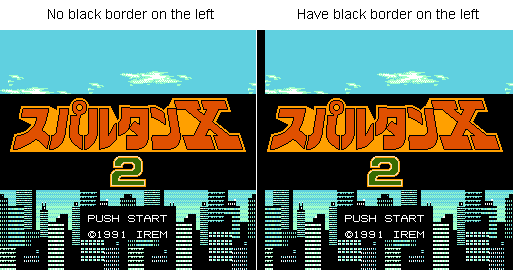 By default, there are 1 pixel black border on the top in most games. For the sake of beauty, this website is preferred the picture which No black border on the top. VirtuaNES: Have black border on the top. Can't set. Nestopia: No black border on the top. FCEU: No black border on the top. 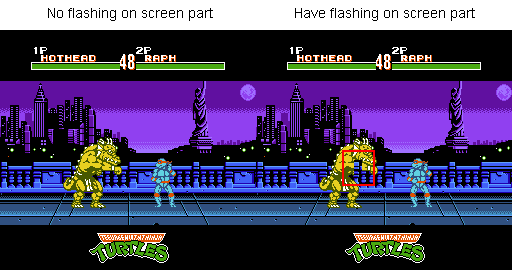 In some games, there are some flashing on screen part when the screen need to much spirits. For the sake of beauty, this website is preferred the picture which No flashing on screen part. Attention, a few games will be abnormal when you set this. Option - Graphics. In "General", check 【No-limit spirits】. Machine - Options, check 【No Spirit Limit】. Config - Video, on lower right, check 【Allow more than 8 sprites per scanline】. You can also download the seted simulator configuration files directly: cfg.rar, then put it under the root directory of the simulator. The file path of "Picture Hue" must be reset. The "VirtuaNES palette file" is already included in the compression package.